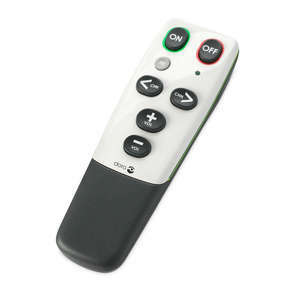 We currently sell two simple remote controls that are designed to help the elderly control their televisions, they are also very helpful for anyone with Alzheimer's & Dementia. All our remote controls for the elderly have large and clear buttons, are easy to hold, and lack many of the unnecessary and potentially confusing buttons that many modern remote controls have. 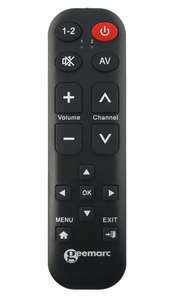 For Virgin & Sky customers we highly recommend the Flipper Remote Control, this is due to its unique Favourites Function that allows you to select 25 of your favourite Sky/Virgin channels to cycle through.